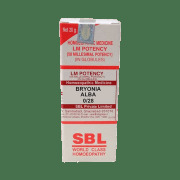 SBL Bryonia Albais an effective remedy for the treatment of a number of health complications primarily focusing on the treatment of flu and rheumatism. It relives the symptoms of flu such as constant sneezing, accompanied by cough and fever. It is also effective for the treatment of arthritic and rheumatic pains. Take 5 drops diluted in half cup water thrice a day or as directed by the physician. 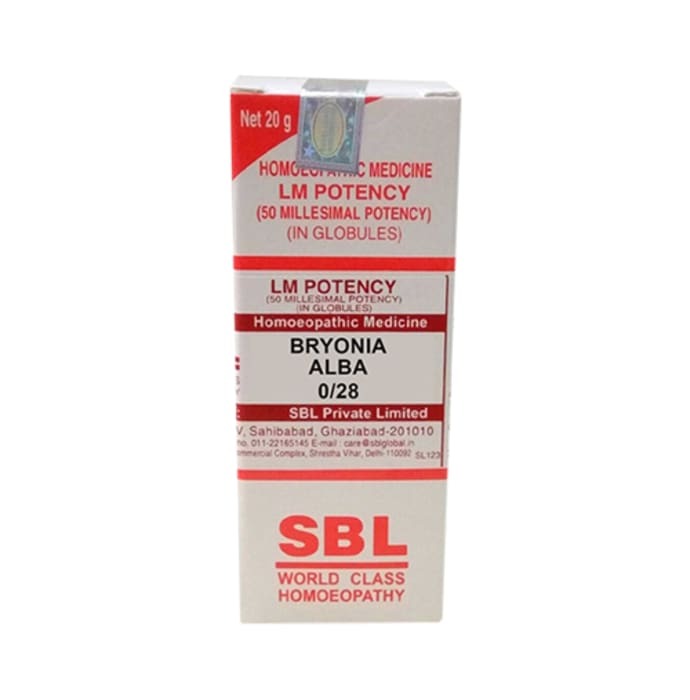 A licensed pharmacy from your nearest location will deliver SBL Bryonia Alba 0/28 LM. Once the pharmacy accepts your order, the details of the pharmacy will be shared with you. Acceptance of your order is based on the validity of your prescription and the availability of this medicine.